An extra trim and lightweight diaper cover with a wipe clean interior and gussets! 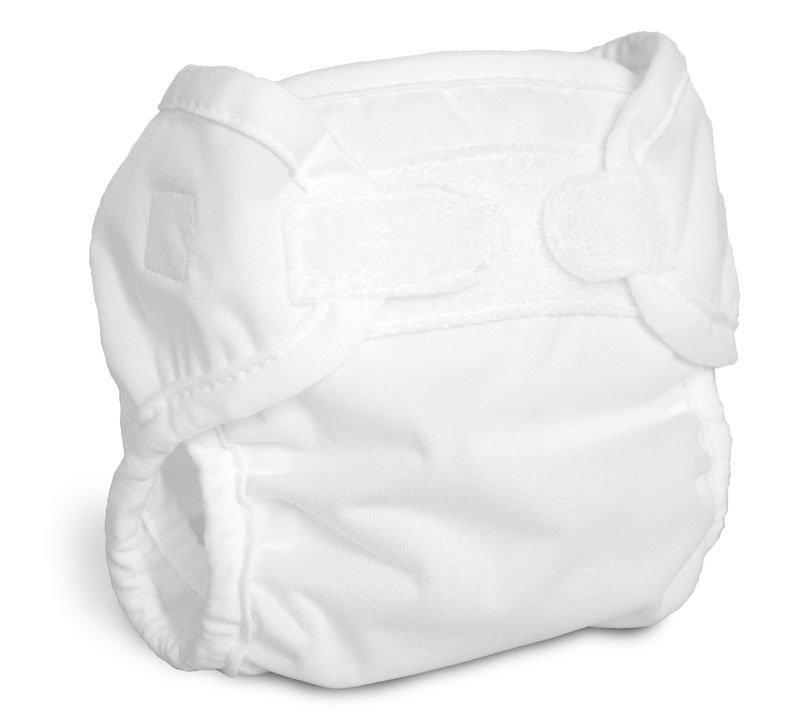 The SUPER BRITE was designed to ensure a perfectly diapered fit – especially for those long, skinny hard-to-fit babies that need a little extra protection around the leg. 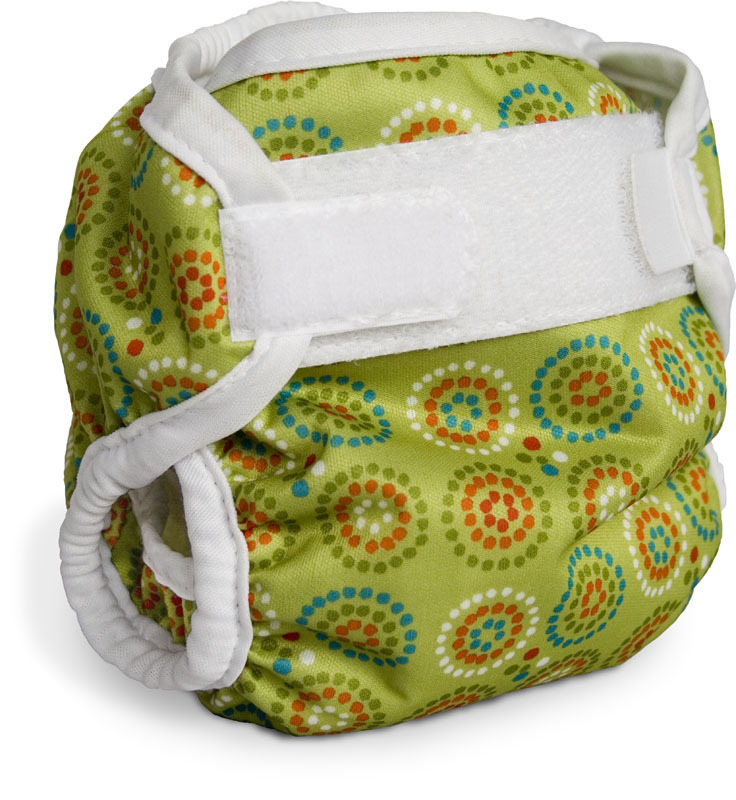 This gusseted cover closes all the gaps, and you will find the fit of this cloth diaper cover like no other! Our gusset with lycra binding is an innovative design that wraps softly around baby’s leg with a lot less bulk than normal gussets and no elastic to leave marks on baby’s tender skin - only soft form-fitting lycra. The result is a very trim, great looking cloth diaper cover. 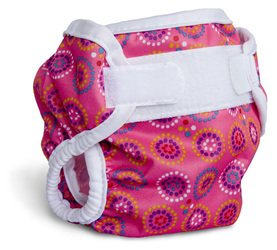 The SUPER BRITE is lightweight and waterproof. It features a single layer of polyester with a wipe-clean laminated interior. Very adjustable. Hook and loop closures with an innovative overlap design that ensures a custom fit on any baby. 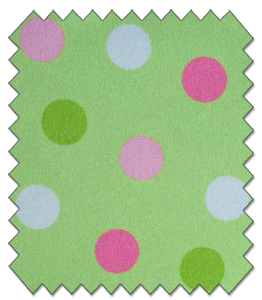 Super-sized fold-back wash tabs to protect your laundry from rogue velcro attacks. 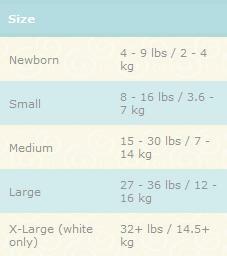 A special newborn size with an umbilical cord cut-out that fits teeny tiny babies from 4 lbs! A specialized binding system combining soft, smooth polyester knit bindings with our signature lycra gussets for a comfortable, stretchy fit, and leakproof seal. Super lightweight and trim – not bulky at all! Wash and dry at normal temperatures in washer and dryer. Please avoid fabric softeners, chlorine bleach, or any other whitening agents. Be sure to wash and rinse with enough hot water in order to eliminate detergent residue and wash your cloth diapers clean. Your Super Brite should not retain odours, and if it does, please check out our washing information or call us for help! 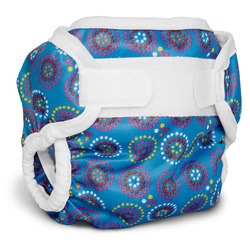 It comes in a funky print in 6 crazy colours, plus white. 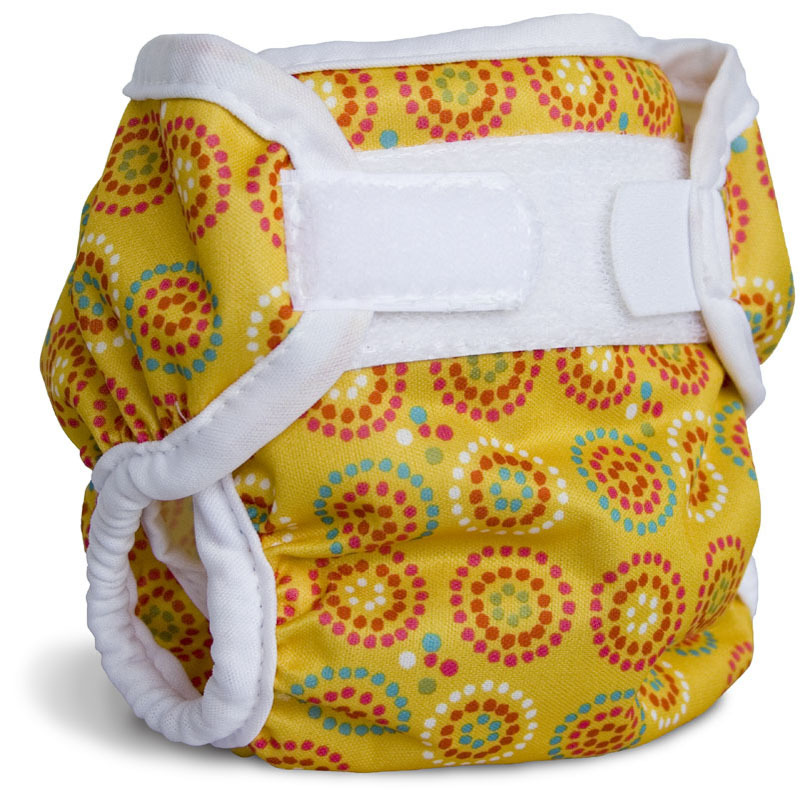 Of course, as is true of all our cloth diaper covers, the Super Brite is made with careful attention to detail in our own wonderful factory in Montreal, so that we are assured of good quality and fair labour practices.. The fabrics and components we produce with are all sourced in North America and are guaranteed lead, phthalate and BPA free. Please email for colour selection before placing your order.